What Can the Seller Pay on a FHA Loan? 1. Do I Have to Pay Anything Up Front to Refinance My Mortgage? An FHA mortgage is a loan insured by the Federal Housing Administration. FHA loans have lower down payment and minimum credit score requirements than standard mortgages. However, like most mortgages, an FHA home loan involves closing costs, which can create an added burden when buying a house. Fortunately, the FHA allows sellers to pay some of the buyer's homebuying fees, which can help ensure a deal gets accomplished. If you're applying for an FHA mortgage loan, you can negotiate seller concessions or contributions in your purchase agreement. Seller concessions are fees paid by the seller to help with your closing costs, which are fees charged by your lender and third-party companies. These can include fees for the appraisal, title search, escrow, loan origination and taxes. These mortgage-related fees can get costly, but to help cash-strapped homebuyers, the FHA allows sellers to pay all or a percentage of these fees. Although the FHA allows the seller to help with your closing costs, there are limits to how much he can contribute. Closing costs vary by state, but typical costs are between 3 percent and 5 percent of the sale price. As of 2012, the FHA allows seller concessions up to 6 percent of the sales price. For example, if you're buying a $200,000 property, the seller can contribute up to $14,000 toward your closing costs. The FHA will not cancel your home loan if the seller contributes more than the allotted 6 percent, but it can result in a reduction of your mortgage loan. In other words, in the event that a seller decides to contribute more than 6 percent, the FHA will reduce the property sale price to compensate for the overage. This is a dollar-for-dollar reduction. For example, if the seller contributes $17,000 on a $200,000 sale price, that's $3,000 over the allowed $14,000. In this case, the lender will allow the higher contribution, but lend only $197,000 for the property. Seller concessions help with closing costs, but some sellers do not have enough equity to cover these costs. If you don't have money for closing, and the seller can't assist with these fees, talk to your mortgage lender about rolling the fees into your FHA home loan. Including closing costs in the mortgage is an option only if your loan-to-value (LTV) ratio does not exceed 96.5%. FHA mortgages require a minimum 3.5% down payment, and the LTV on an FHA mortgage cannot exceed 96.5%. If you decided to roll your closing costs into the home loan, your mortgage balance and LTV increases. This isn't a problem if you put down a larger down payment and have some wiggle room. For example, a 10 percent down payment equals an LTV of 90 percent. In this case, the lender will roll closing costs up to 6.5 percent. This keeps you within the 96.5 percent LTV threshold. If your closing costs exceed 6.5 percent, you pay the difference out of pocket. What If the Appraisal Is Low on a Short Sale? 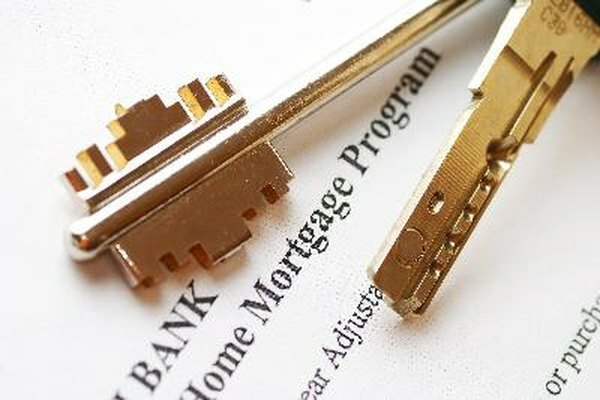 When Do I Need to Have Funds in Escrow for My Mortgage Down Payment? What if a Property Doesn't Meet Criteria for an FHA Loan? Do I Have to Pay Anything Up Front to Refinance My Mortgage?